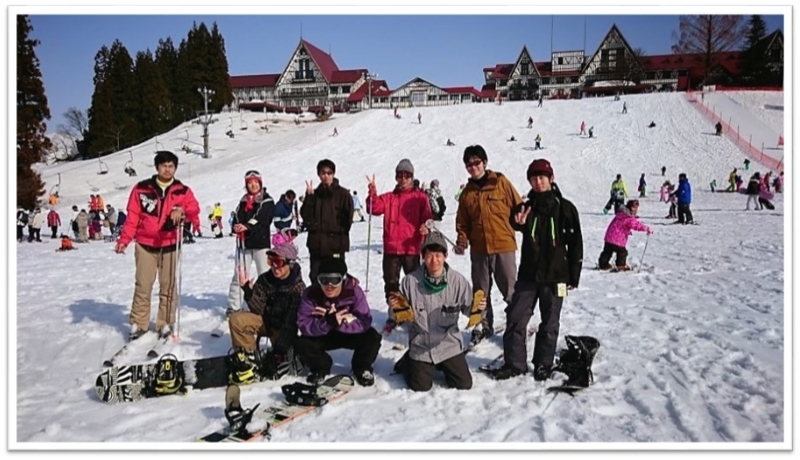 We took a ski trip to "Joetsu Kokusai Ski Resort". Members from all laboratories in our environmental course joined. We really enjyoed skiing and snowboarding.